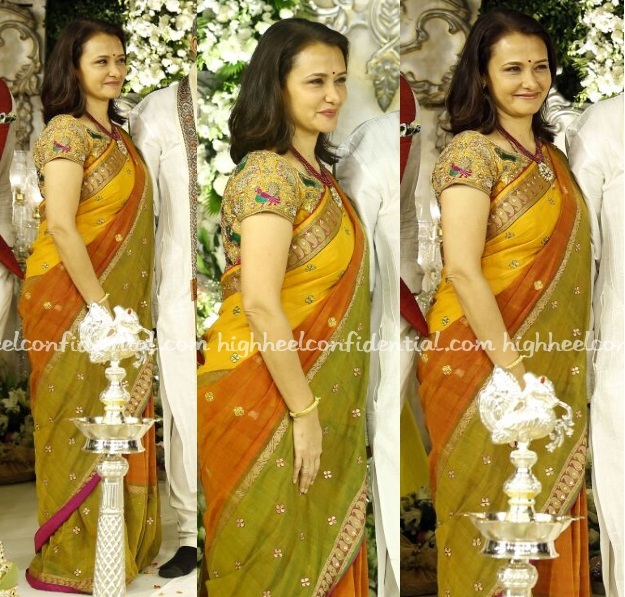 Mother of the to-be-groom, Amala kept it rather on the simple side at Akhil’s engagement ceremony. But, am not complaining. 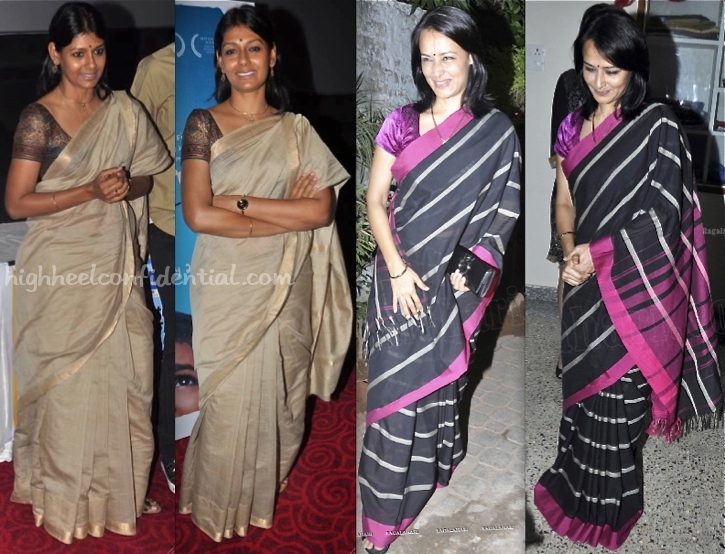 As always, Amala looked elegant and I like that she picked a cotton sari instead of a heavy silk. P.S. Am not sure but I think she is wearing Gaurang. 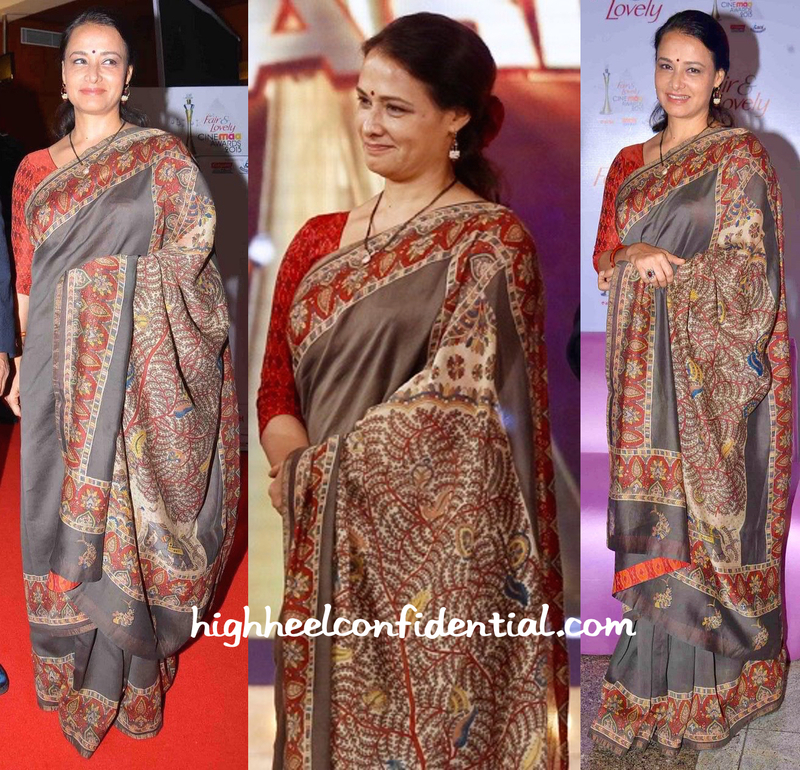 Sticking to her signature style, Amala kept it simple and elegant in her kalamkari sari while at a recent Awards event. Though it may fall in to the way-too-basic category for some of you, we think Ms. Akkineni looked lovely. Both these ladies changed it up at the recent Awards. To different results. 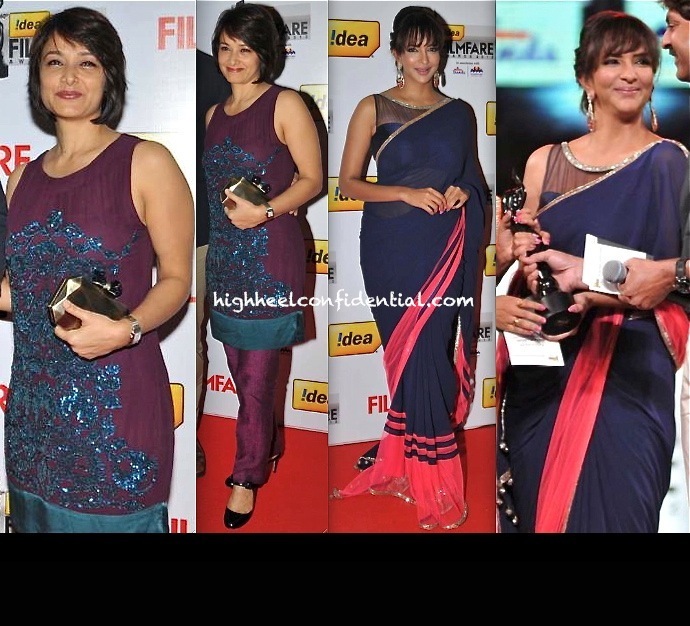 One to be mostly seen in saris, Amala picked a purple embellished suit wear. A metallic clutch and mary-janes finished out her look. Though we give her props for stepping away from the expected, this particular suit wasn’t way to go. Though she looked cute, let’s face it, even Amala couldn’t salvage that outfit. Also a surprise was Lakshmi in her Manish Malhotra sari. Though personally we aren’t big on mesh blouses, she sure looked great! These lovely ladies continue to do what they do while sticking to their aesthetic. Besides, we doubt we are about to see ’em change anything up, anytime soon. Not that we really mind. And yes, hundreds of women dress like this everyday but that’s not a bad thing now, is it? We like.